The popularity of claw machines has skyrocketed throughout the world, in general, and Asia in particular. What if claw machines were not an entertaining factor anymore or if stuffed toys were no more an attraction; it did not matter. The thrill of winning or losing did get to Southeast Asia and they wanted more and more of claw machines no matter what. • What is a claw machine? • How much does a claw machine cost? • How to make a claw machine? • Where to find claw machines? Since I was a little kid, I have always wanted to get my hands on that stuffed toy but that claw crane machine always got in the way. I could never figure out how to hold on to the toy and if for once, I got hold of one, it wouldn’t stay in my grasp once I tried to pull it across to take it out of the machine. That was the story of my childhood; my ‘TOY Story’. Now, what I thought more was how, someway, I could get one of those claw machines back home with me. The popularity of claw machines has skyrocketed throughout the world, in general, and Asia in particular. 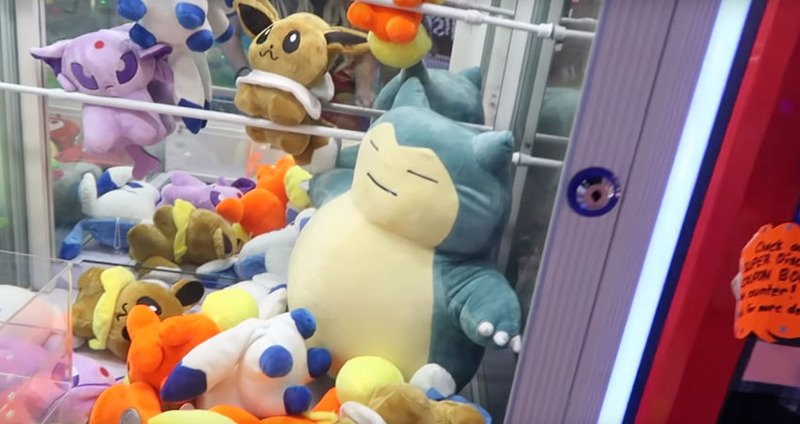 2018 saw Taiwan go crazy over the prospect of Claw games and the craziness of claw machines was compared to nothing seen before. What is a claw machine? A claw machine, toy crane or claw crane is a type of game commonly found in Movie theatres, restaurants, Bowling alleys, shopping malls. Video arcades and supermarkets. 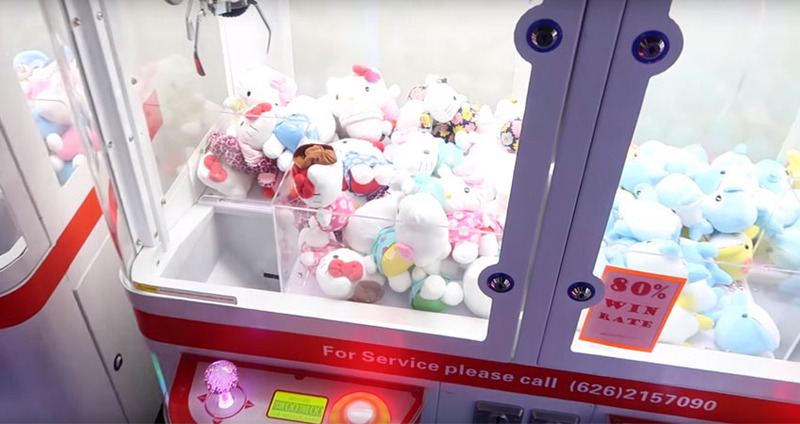 The most common claw machine is made up of a number of components but the basic parts include a power supply, joystick, a PCB (Printed Circuit Board), Currency Detector and a Claw. Most claws have three fingers but they could way from machine to machine. A Medium Density Fiberboard is used at times to construct the cabinet. If you are looking for a cost effective alternative, the option of using an aluminum alloy for the cabinets is also available. The transparent window at the front of the machine is usually made of glass but if you are looking for a less costly product, you could always go for acrylic. This dynamic fun in a box toolkit called a crane claw machine has a pretty interesting history. Let’s find a bit about its origins. Quite interestingly, the idea behind a crane claw machine came from a steam shovel around a century ago. During the excavation of the Panama Canal, a steam shovel was used. The concept did shrink quite a bit from digging the earth to lifting stuff toys but that is how the foundation of this epic game was laid. Initially, claw machines were more on the royalty side and included pretty serious prizes. Miami Digger, Panama Digger, and Erie Digger were the very first claw machines to be used. With the advancements in technology and the invention of electricity, the structure changed and so did the prizes. Cigar, silver coins, jewelry, lighters, and coin rolls were part of the prestigious gift section as pure gold cabinets replaced the cheaper ones. It was regarded more as a luxury item rather than an ordinary entertainment tool. It was used as an attraction for Gamblers and got regarded as a gambling tool before legislation was passed against it in 1950. The legislation listed it in the gambling violation category that resulted in a complete shutdown on claw machines. Only a few were left untouched in some hotels and remote areas. 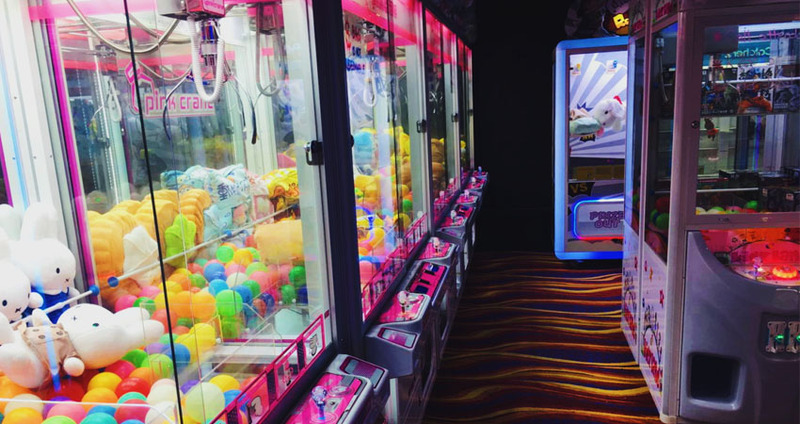 Mr. Lee Moss, an amusement company owner, who got a few other powerful sources together in an attempt to convince the government to accept the crane machine as amusement equipment, put efforts into place. This bore fruits and the government agreed to reach a compromise but that came with quite strict rules and regulations. The claw machine was barred from using electricity and the coin acceptor could no longer be in place. 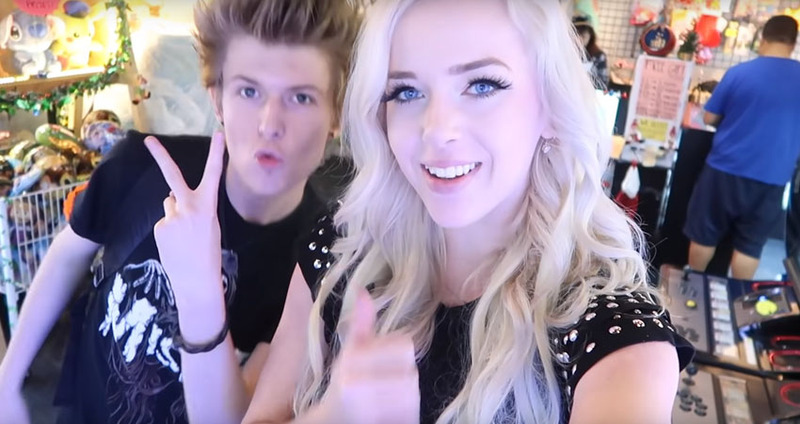 This simply ended all, if any possibility of making income through the machines. Early 80s then saw the rebirth of the claw machine as it started to crawl back towards its original destiny. Claw machines became an integral part of the Pizza Hut outlets and then spread across various industries. The 90s saw a serious boom in the popularity of claw machines as the concept completely took over South East Asia. Japan and Korea led the popularity list as fans of claw crane machines. Within no time, these machines became more of a sensation and to some extent addiction in these areas. What if claw machines were not an entertaining factor anymore or if stuffed toys were no more an attraction; it did not matter. The thrill of winning or losing did get to Southeast Asia and they wanted more and more of claw machines no matter what. Singapore saw a massive increase in the number of Arcades and many were loaded with UFO claw catchers. Let’s have a look at Singapore’s top Arcades for this purpose. 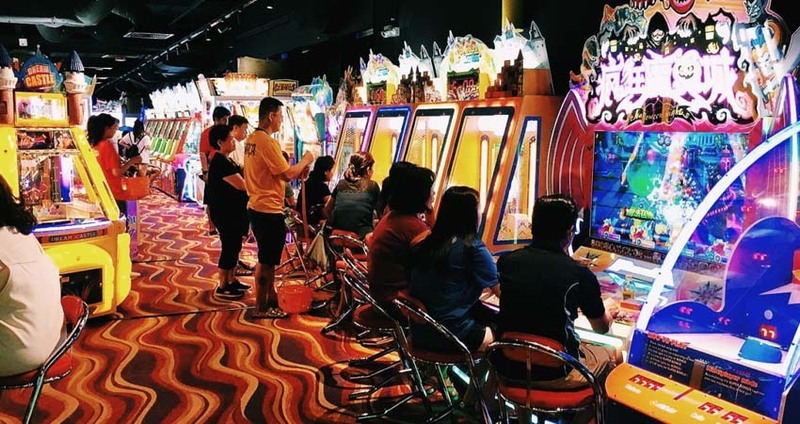 The ‘Play United’ arcade has a huge fan base so it is quite common for it to be crowded with people but with the number of machines available here, you won’t have time to spare. The place offers you with 12 tokens if you spend $10 at once. And the best part is that, even if you don’t win any prizes, you will still be able to take away a free gift of your choice. If you aim at the big guns and wish to get bigger prizes like drones, gadgets or part games, you can accumulate your little toys and exchange them for a bigger one as well. I guess now we all know why the place is so popular. If you are more into little or small gifts, this place will be a toy heaven for you. Filled with plushies and little key chains, you get to have loads of fun while you collect toys. If you don’t like the small prizes you won, you can even exchange them for a bigger price, provided you have at least 3 wins. The best part is that some toys here are from Toreba, which means they are directly imported from Japan. Play starts at $1.5 per game. A Japanese themed Arcade, Ton Amusement is as amazing as it gets. Loaded with Japanese toys from Q Posket figurines to Plushies, even the electronics here give away a Japanese vibe and it is rocking. Some of the prices include ‘Instant Noodles from Japan’. The best part is that you don’t feel bored if you are a regular customer here. The toys and prices are updated along with the new release of products in Japan. Price starts at $1 per turn. With a theme targeted towards couples in general and young couples in particular, Kiap kiap might be your dream place for Valentine’s Day outing or any other special day. You get to attempt ‘kiapping’ prizes for your couple. Once you’ve won, you get to take a picture in front of their Plushie wall and it is simply ‘cuteness overloaded’. The best part is that it’s not that expensive with prices starting at $2 for 6 tokens. My favorite of the list has to be Cow Play Cow Moo. This Place is more of a ‘Claw Catcher’ Paradise with over 100 claw catcher machines in place. No matter how many friends, family members or even neighbors you bring along with you, you will have ample space to play your favorite game, just the way you like it. Choose your price, take all the time you want to strategize and play with ease. There’s no need to rush. An amazing thing about ‘Cow Play Cow Moo’ is that some machines here have ‘Winners guaranteed’ tag on them. This means that after a number of winless tries, you still get to take away a gift home. If all of this wasn’t enough to ‘wow’ you, the place also has a 4-meters tall claw machine with giant unicorn plushies. The best bit about this place is that two popular ‘claw machine catchers’ run the place themselves. 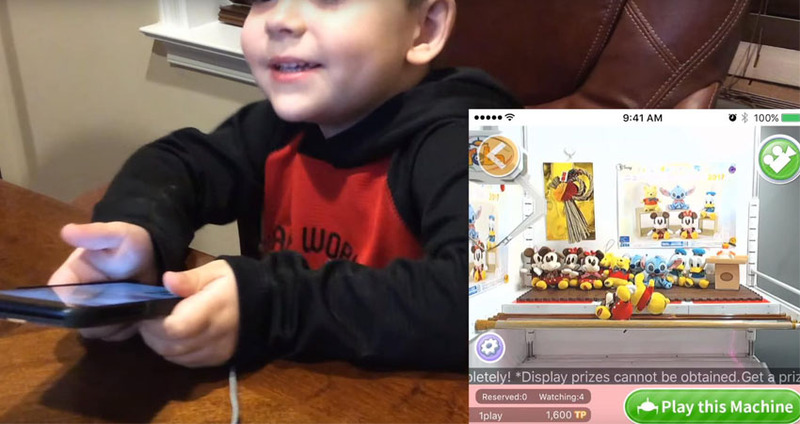 While running a YouTube account, they display all their toy-catching experiences with expert opinions about playing strategies. The prizes are updated regularly so you are not bored if you plan to be a regular visitor. If you are looking to have fun but are low on budget, Fat Cat Arcade is the place for you. The biggest arcade at the East end of Singapore, Fat Cat Arcade has prices as low as $0.16 per token (6 tokens for $1). And there are special discounts on Chinese New Year, Christmas Eve and other holidays, despite of this low price. The collection is also massive with 100 of the latest games available on the venue. You are guaranteed a good time while you are here. How much does a claw machine cost? 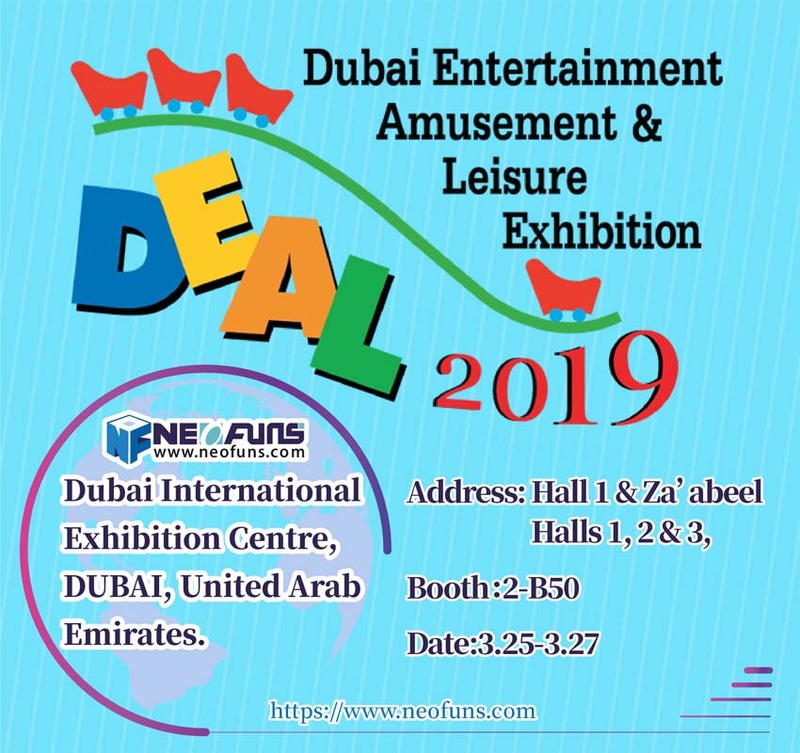 Whether you are obsessed with a claw machine so much that you want to buy one for your home or you feel it is a good business opportunity to invest in one, you basically have two options at hand. Firstly, you could go and rent one or if you have the bucks, why not buy one for good. Either way, it might be a costly deal so you better be patient and not put all your bags in one basket. Renting a full size big claw machine might turn out to be a costly deal. Roughly, a large claw machine might cost you above $US500 in rent for a day or two. This would include transportation and loading/unloading of heavy machinery. Installation costs would also be included in this. Understandably, your major clients would be big organizations; multinational companies or banks maybe, if you manage to land a deal that big. The foremost thing to decide here is to figure out what your purpose for buying a claw machine is. If you are thinking about buying a new one, the claw machine price will vary depending on the size of the machine. You can find a number of claw machines for sale at Amazon or eBay. You could find a mini claw machine for sale or a giant claw machine too. A tiny claw machine or mini claw machine as its called could cost you as low as $50. 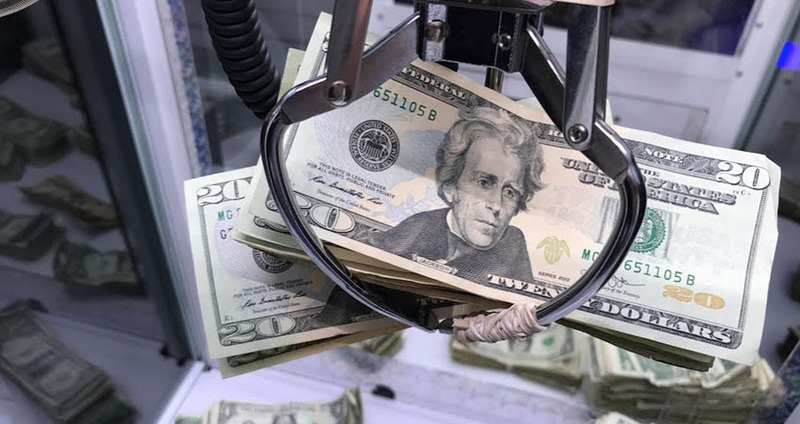 The price, however, for a giant money claw machine could be as high as $5000.Again, answer to the question of how much money is a claw machine worth varies depending on the size and structure of the machine. If you don’t feel like investing too much and need a cheap price claw machine, you can easily find a claw machine for sale under $200. If you need a used claw machine for sale, you can get that type of a claw machine for sale $100 or even less. How to make a claw machine? Understandably, if you feel that spending so much on renting or buying a claw machine is probably not your cup of tea, there is another option, why not make your own claw machine. You simply need a DIY claw machine manual and you would be ready to roar. The best part is that you don’t even need to find someone to help you learn the DIY procedure. Simply search for claw machine videos on YouTube or elsewhere and it would be extremely easy for you to learn how to make a claw machine. 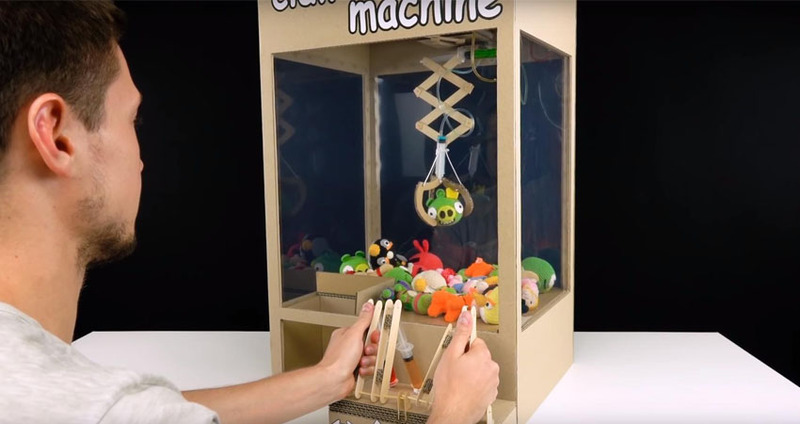 If you wish to build a claw machine at home, the best option would be to make one using cardboard. Understanding how to make a claw machine out of cardboard is no different from making a claw machine any other way. A bit of knowledge about electronics and woodwork would come in handy if you wish to build the whole machine on your own. The amount of time it will take you to build your own claw machine depends on how much time you allot to the job in a day. If you are fully focused and spend most part of the day at it, you can get it done pretty quickly. If you decide to take it slow, it could drag on for months. The most important part is to start with it. As you go on building it, you can add innovations to it along the way. If you are thinking about the cost it will take you to build a medium sized claw machine, keep an estimate of $125- $175. This will vary depending on you the price of materials you use. Not literally your daily grocery shopping, but you need to shop for material in order to build your claw machine game. You could start by going for a simple flake board as your woody ingredient for the housing part. 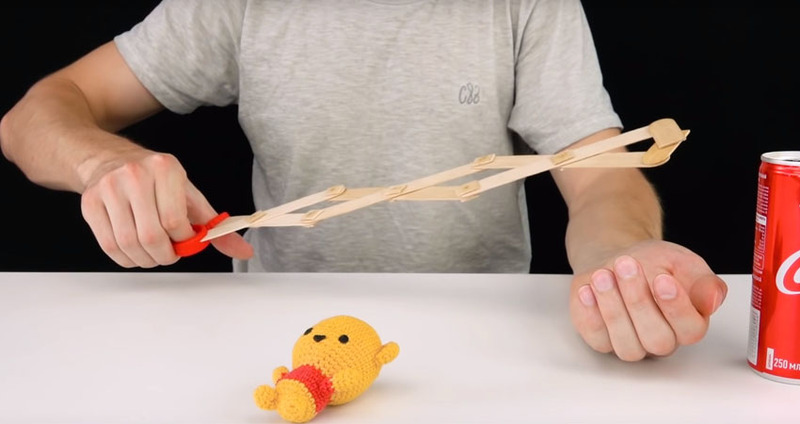 This would form the main structure of your claw crane machine. You could go for plastic to build the rails for the mobile part on the top. • Some relays of 12V Coil Voltage. • A joystick with buttons for ‘back and forth’ and sideways movement. Once you have the parts ready, now is the time to start building your housing structure. I like to call it the tree house, but that’s me! The first thing to do is to plan your design for different panels. Once the design is finalized, you will need to cut out shapes for all 4 sides of your machine. The front side and the sides to your left and right would be similar apart from a few differences. The panel for currency collection would be at the front end and a door to the right end would need to be adjusted for electronics. The next step would be to put together your wood panels. The way to go about this could be to drill panels on wood slats. A small piece of wood would be enough for the currency collector. Simply cut the wood and add a hinge to open and close it. The trickiest part is to set up the electronics section correctly. Since the motors need to move ‘back and forth’ and sideways to target the toy and pick it up, setting its control properly is the most important bit. If you can’t set this section properly, there’s no point in building the machine. To move forward and backwards, a joystick would be enough but you will need to add buttons to control the sideways movements. For this, you would need to add relays and link them to the cable network. The system would need to be set in such a way so when a coin is inserted in the machine, a one minute timer would start. This would unlock the joystick and then the ‘Game music’ starts, which would stop when the timer ends. The simplest way to set this is to use an old DVD player. The background music would be the sound of the DVD menu, which would continue for 2 minutes before reloading. Once the coin is inserted, the film with be started and this would form the game music. Highly interesting yet simple, isn’t it. If electronics was the trickiest section of all, let’s meet the father of complexity- The Mechanical section. What makes mechanics complex is that this section will be responsible for motoring the movement of the claw and the machine as a whole. The claw needs to move in an X/Y/Z dimension. A smart way to go about building this is to use LEGOs. Not only that Legos are fun to build, they are also easy to set up and surprisingly strong. The heart of your machine is the Claw itself. I would recommend you not to think about building a claw yourself. Buy one online. You could go for a used claw too if you are fine with that. For the claw to work properly, you would need a magnetic coil. You are down to the final stages of your construction process. You just need to think about setting a theme for your machine or to simply paint it, if you wish to keep it simple. Think of the color combination that you would want to set for your claw machine. Another option would be to add some large stickers or posters to the inside or even outside of your machine. It could be an animated picture of your favorite cartoon character or anything else that you would love seeing once you want to play on that machine. If you decide to paint the structure, wait for some time for the paint to dry before you start adding claw machine prizes to it. You could buy some stuffed toys or add those you already have at home. Use those and put them in the center of your machine before you seal it with glass. The final step would be to add glass panels to the structure. Transparent white glass panels would be best. Add glass to the left right and front sides of the machine and fix them. Your claw machine is ready now. It is often argued that claw machines are rigged and there’s no point in playing if you are never going to win. That is not entirely true. Though some machines at some places might not have even odds, it’s not the case every time and despite of that, you can still turn the odds in your favor if you have the proper skillset. Winning a claw machine present is based on a number of factors. These include the skillset of the player, the types of toys available, strength and configuration of the claw, and machine type, amongst others. If you don’t understand the dynamics of the game, you’ll lose. If you don’t study the movement of your machine, especially its claw properly, you’ll lose. If you don’t analyze the placement of toys inside the machine, you’ll lose. To win, you need to stay alert and follow each and every step of the game. Experts tell you that you can win the game every single time if you want to. If you really wish to master the art, you can learn how to win the claw machine every time with little practice. However, if there is any bad faith involved in the mind of the Arcade or the machine owner, there’s little you can do about that. 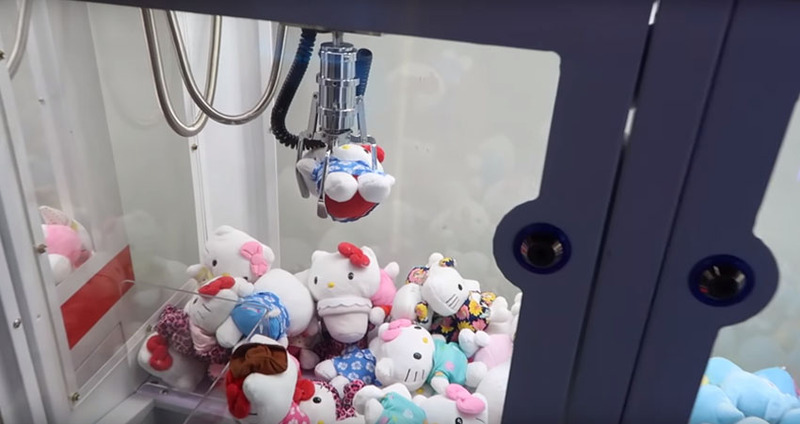 With modern crane machines, computer settings can be fiddled around with, to weaken the strength of the claw. The same can be done manually to older machines. This slight change of settings could cause the machine to malfunction and the grip of the claw is loosened because of this. This causes the toy or your price to fall out of the claws grip. Unfortunately, if you come across one such machine, your chances of winning are almost negligible. Your Smartphone is a whole new world in your pocket. With everything going digital nowadays, claw machines have also gone online. The world of apps on both the Apple Store and Google’s Play Store has witnessed record-breaking success. Simply search the App stores on either smartphone and you would come across online claw machine apps more than once. 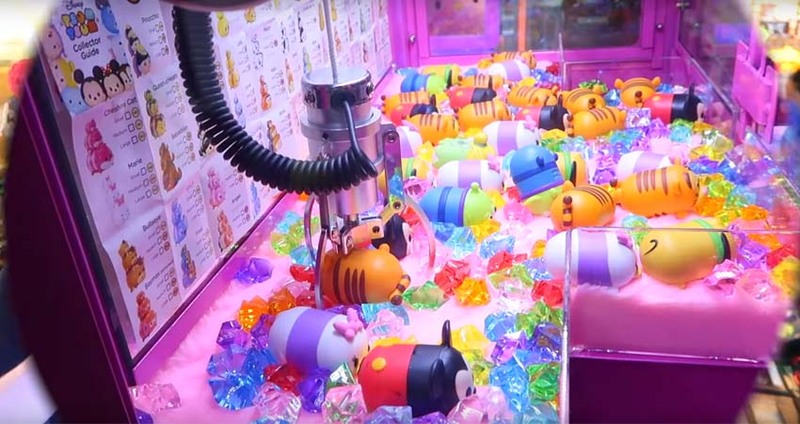 Toreba is at the top of the list when it comes to Japanese claw machine games. Unless you have a suit like Marvel’s Ant Man and can climb inside the machine to grab a price yourself, taking something out of that machine is incredibly difficult. Through sheer observation and a skilled approach, you can learn how to hack a claw machine with ease. For a successful claw machine hack, firstly, observe exactly how tight the gifts are packed together. A simple way to figure this out is to notice whether all stuffed toys are front faced and are tucked in tight. If it is so, this means that no animal has left the machine yet. Trying to loosen a tightly packed set of animals is the toughest of battles you’ll be fighting. I would prefer letting someone else take the first turn or try and find a machine that’s loosened up. Keep a close eye on the person taking the turn before you. You don’t necessarily need to follow the game of the person before you but, instead, watch how the machine reacts to their play. This will help you understand how to beat the claw machine. This way you would be in a better position to decide whether you should go for this machine or look for a new one. Try and observe whether the grip of the claw is loose or tight. If the grip seems loose or if the claw jerks slightly after picking the gift, I would abandon the machine for sure. If you wish to win big, the secret is to go where your brain tells you to, not where your heart desires you. Being realistic is being smart! If you want that cute, white teddy bear stuffed tightly next to the weird monkey, leave it. Go for the big burly alligator instead, if it seems more realistic. • It should be in the center or at least not stuck in any corner. • It should be sticking out slightly or at least should not be obstructed by any other toy. • It should not be leaning towards the glass or any other place that your claw would have a problem reaching. • Do not go for something that requires the clog to cover a long distance. Choose something closer. • An important advice would be to avoid any large or round toys. The major issue with these is that they are hard to grab hold of. • If you find a toy with an arm or a head hanging out, targeting that would be a good option as you can get your claws around it easily and get a firm grip. Usually, Claw machines drop and pick up the toy with one push. At times two pushes are required to drop down and then pick up the toy. Whichever way you try, there is ample time at hands to adjust your claw right where you want to drop it. Use that time wisely. You have the option to move your claw back and forth or even sideways. You should know when to stop! Mostly machines charge you 50 cents for playing around. You could try and play for a couple of dollars at most but anything beyond that would just be ludicrous. If your machine is a supportive one, you could win the price in fewer tries. If you tend to come across a hard nut, more rounds might not be enough as well. There are decent performers in every field, then there are those who are good and we often come across that class which is very very good. If you go beyond this level as well, we come across an entirely superior breed of individuals who are awe-inspiring and you can do nothing but admire their superiority over others. Same is the case with the game of claws. The superior breed in Claw crane field calls upon an amazing individual who is simply unbelievable. A skillful and gifted individual, Chen Zhitong is a sensation, to say the least. 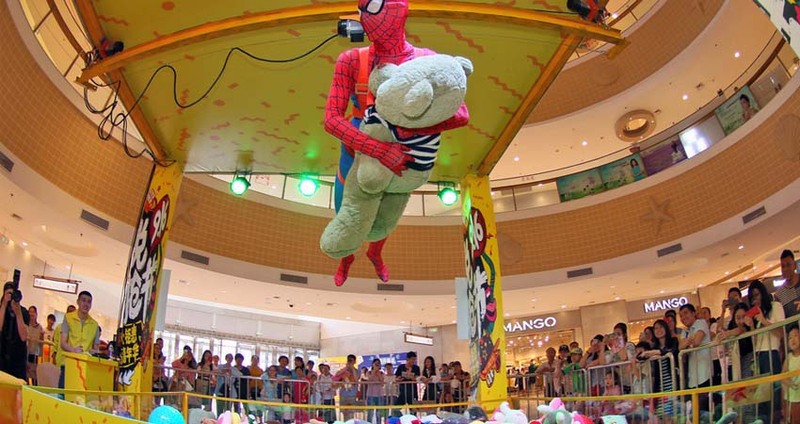 In one year only, Zhitong was able to win around 15000 stuffed toys from different Arcades. Hailing from Xiamen, a port city in China, this 35 years old IT worker is now popularly known as “The Claw Machine God”. With everything going global, buying anything is not a hectic procedure anymore that you need to plan for. Simply go online and scroll through the search engine what you want. Anything and everything that you need would be right there in front of you. So, if you are still thinking where can you buy a claw machine from, your answer is right here. Be it Amazon, eBay, Gumtree or Ali Express, you will find dozens if not hundreds of claw machines for sale online. Search through the marketplace; choose the one that you like and simply place the order. Your claw machine will be at your doorstep in a matter of days. With large pieces so expensive, parents tend to go for a little claw machine for their young ones. Also known as mini toy claw machine, this compact bag of delight could be around 13 inches in height, 6 inches in width and roughly10 inches in length. The dimensions could vary from machine to machine but these are the dimensions of an average kids claw machine. Even if you search for a cheap mini claw machine for sale, you couldn’t find any below $30 unless you find a used one. Little claw machines like these are also available in different themed boxes. Pokémon is one of my favorite cartoon characters and once that character is joined together with my love for claw games, I believe things can’t get any better. The crazy success of ‘Pokémon Go’ saw people’s interest shifting more towards its claw game as it happened with any other merchandise of theirs. Available on eBay, I found a small Pokémon claw machine and I just can’t do anything but drool over it. It is compact, it is mini and it is just amazing. If all of the above information was not interesting enough for you, we bring you the Human Claw Machine. Much bigger, much wider and way more fun! A much bigger version than the small arcade claw machines, with the human claw machine, participants are hanged over the crane, literally, and they maneuver the crane themselves to pick up prized with their bare hands. It is just like the smaller version, only this time you are the clog on the crane. You are carried around by a machine and dipped in a pool of prizes. Al you need to do is grab hold of as many gifts as you can and get this back, out of the machine. As tempting and as easy as it sounds, it is certainly not a piece of cake. You do require a certain skill set and control to ace your turn. I Scream, you scream, we all scream for Ice cream. What would I do without ice cream, what would we all do without ice cream. The Happy Ice ice cream claw machine offers ice cream to you instead of toys. There are around 40 such machines located throughout Singapore. The best bit is that there’s no limit on the number of tries you can have to nab your price. Go as long and as many times as you want and only leave once you the Ice cream with you. So, keep on prolonging the fun if you have to and once you are done, get the ice cream out and have fun with it. Prices start from $2.5 per turn. What is one thing that kids love even more than toys? The answer has to be candies. The sweet machine candy crane claw vending machine is one amazing claw machine that is a delight for kids. The machine is listed on Amazon as well. The whole procedure is exactly the same as that of a claw machine with toys. The only difference is that your prize would be candy instead of a toy. Claw machines have gone this far after a long journey. The time is theirs and people just love the prospect of playing and winning at the end. Having fun and being rewarded for it is something everyone desires. I am thinking about heading out to a claw machine arcade near me. So, ignite your passion for claw machines once more and head out to your nearest claw machine arcade and have fun to the max. Until next time, Ciao!